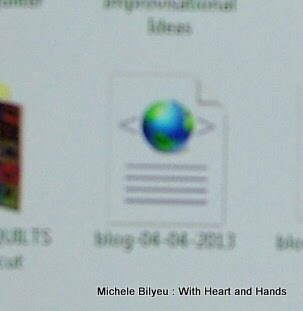 Michele Bilyeu Creates *With Heart and Hands*: How To Back Up Your Blog! How To Back Up Your Blog! For years and years, I have used a variety of techniques and programs creating back ups of my blog. 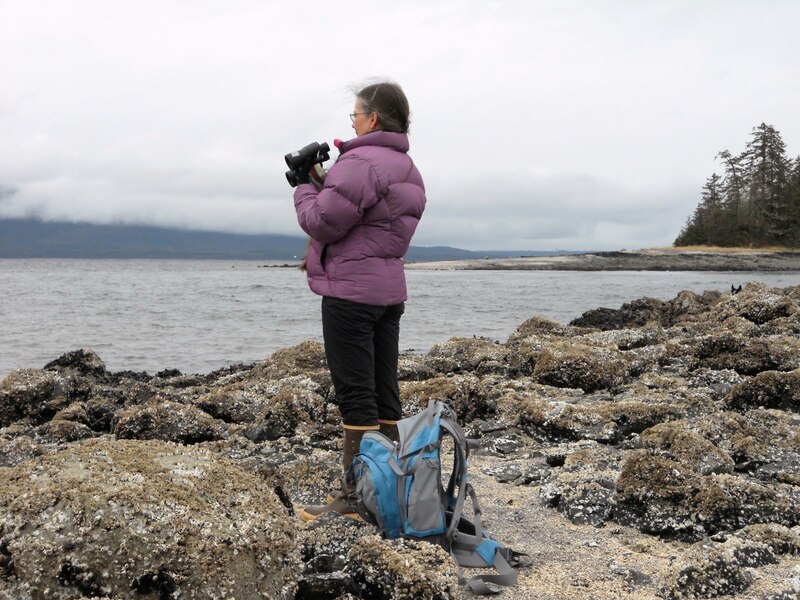 When I first began blogging, we didn't have an easy (blogger supplied) method for doing this. But now we do. And it's so easy, that I decided that I really needed to share this simple back up technique for all of you who may not have discovered the steps for doing this! 1. Go into your 'Dashboard' settings. 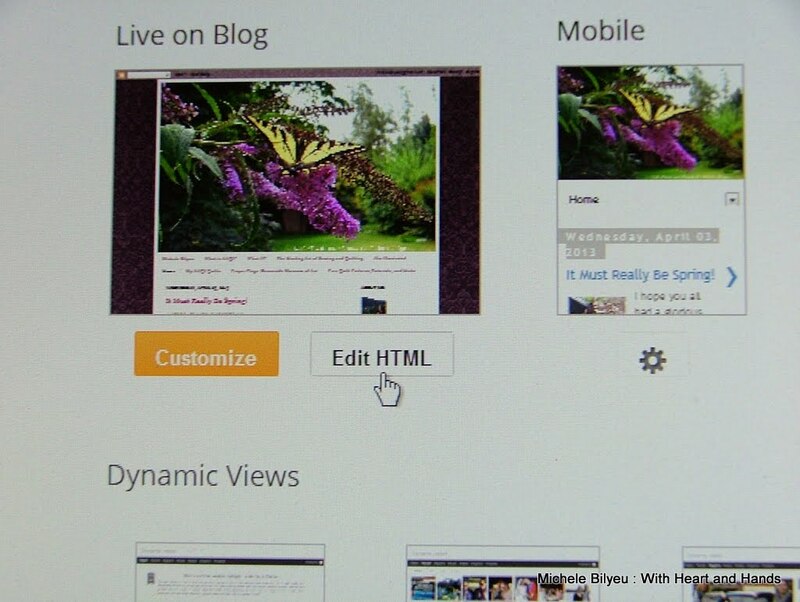 Your own blog may have a button for this, or you may have created one..or you may have to go in through your blog at the upper right hand corner as I have to......design, click on your specific blog's name or image and then into a dashboard view. 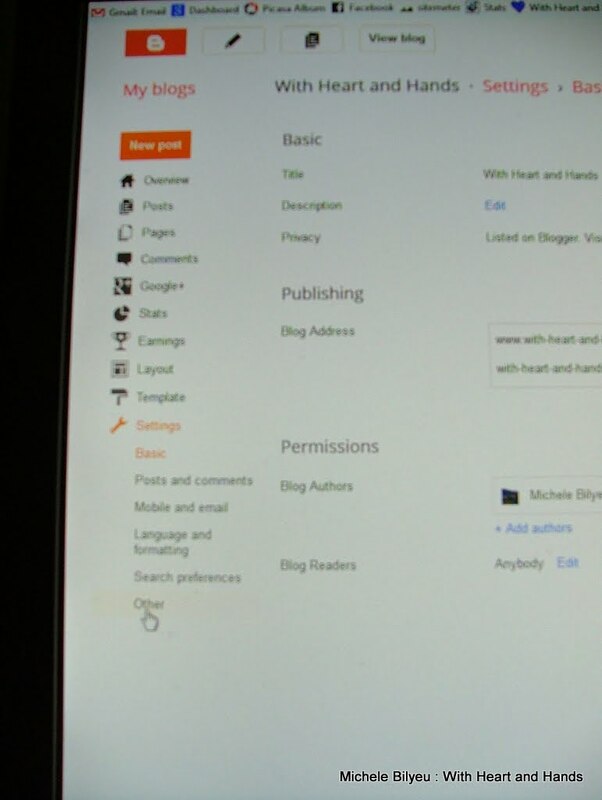 Remember, your blog style might say something else...dashboard..etc. But just go into your settings as if you were going to make a blog post only instead of posts..click on settings/other/ template..whatever YOURS lists! 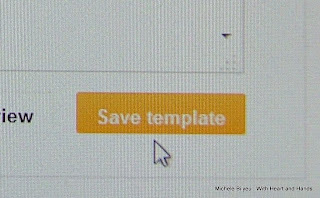 My dashboard ..where I choose what setting I am going to use...comes with this easy template view image. 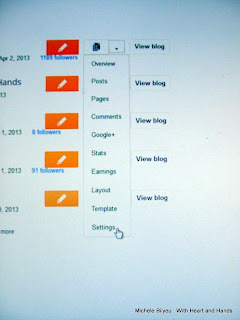 Now, click on the drop down menu for the blog you which you back up. 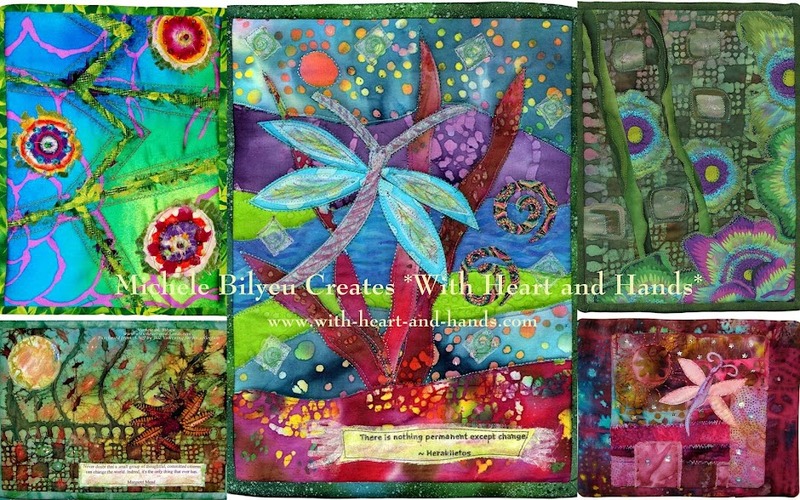 Mine is my primary blog With Heart and Hands. 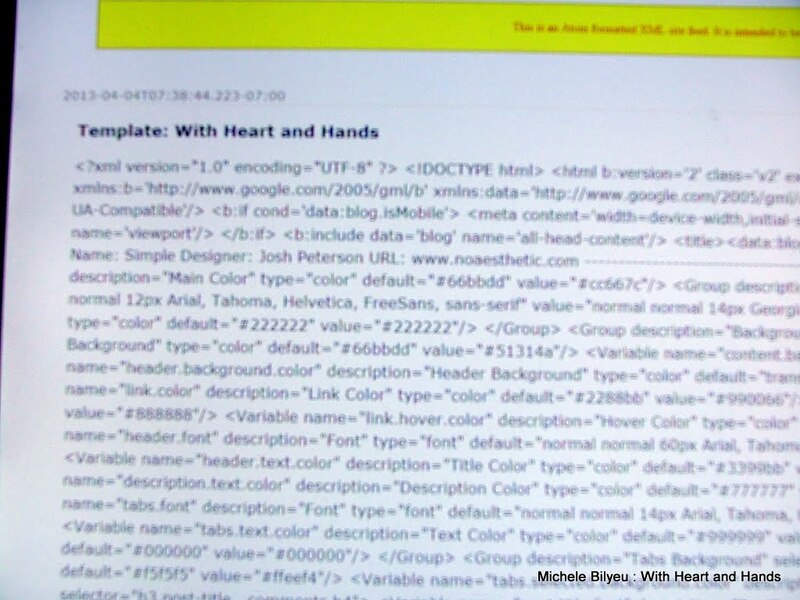 Select the 'Template' button or the "html" button..as shown above. Note:it depends on which route you took to get to this and which style of blog you are using. Different designers set up the desktops for their styles, differently. You may even have a button that says 'Backup and Export" instead of 'Edit html' as mine does..which leads to the next step, below. 2.. Click on Download full Template. 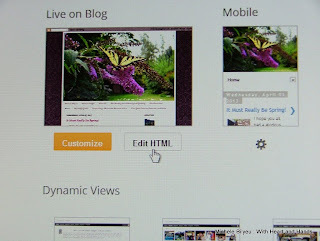 Then you will click "download full template or save template..wording depends on your own blog style. 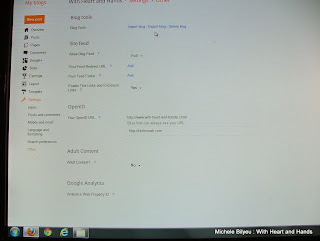 You have now backed up your entire settings for how your blog looks, and how it functions. 4. Go back to the dashboard and again click on the 'Settings". Part 2. 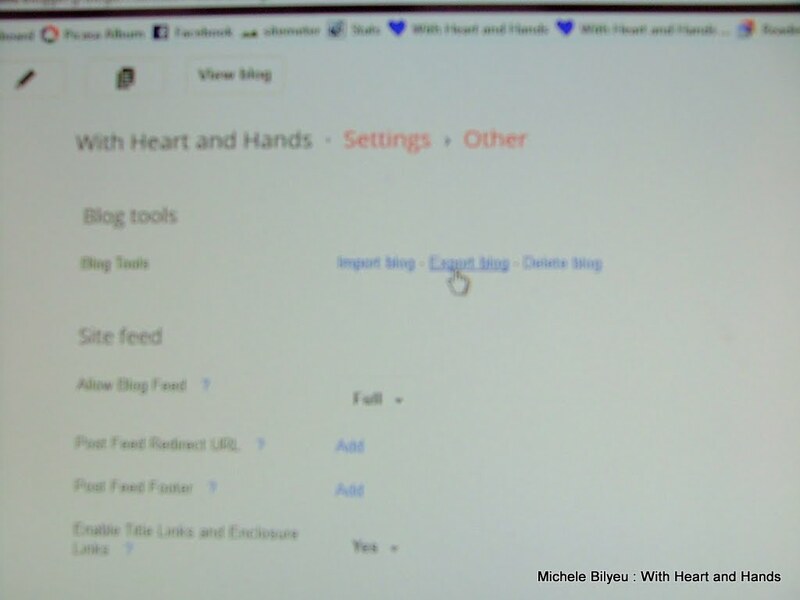 Backing Up Your Blog, itself ...All of Your Posts and even Their Comments! 1. Go to Dashboard again and click drop down arrow to SETTINGS. 2. Go to the bottom left list of all of the sections of your settings and click on "Other". THIS IS THE ONLY TIME YOU HAVE TO BE SUPER CAREFUL!!! 3. 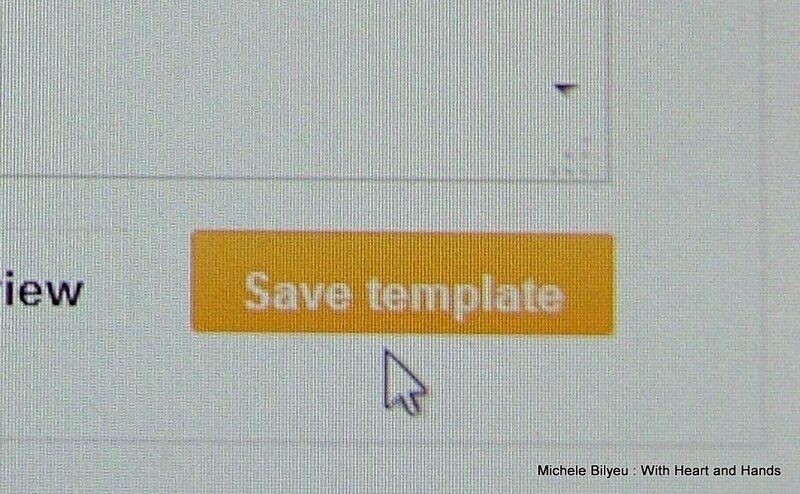 You want to click on the middle button.... or the one that says "Export". 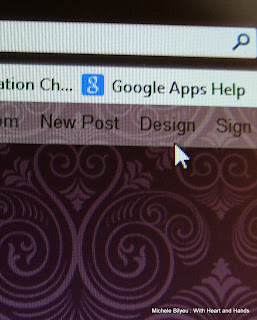 Center that mouse pointer, look again to make sure, and then click on EXPORT BLOG. 4. Now, click on "Download Blog" and then the next choice that appears "Save File". You're done! 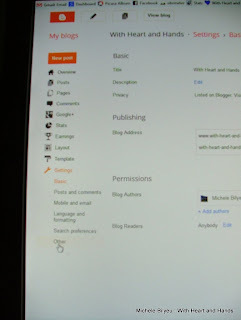 A few careful clicks and steps and your blog is all backed up. 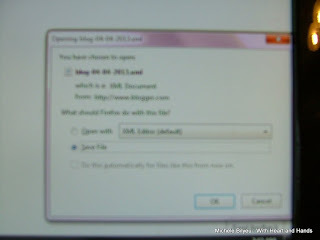 To find it again, or to move it to a better location..find your own downloads file on your computer's desktop, if you never made one on your desktop, it is most likely under either your documents or in the file called Temp files. So, find the download file, then find the template file. It will say 'template' followed by some identifying numbers. 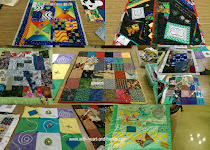 Then find you blog back up file..it will be similar. Just for extra measure I like to date the back up by simply make a new folder, title it with today's back up date and placing both of these downloaded files..#1. backup of your template and #2 backup of your blog, itself... inside of that folder. Or if you prefer..go into the title of each downloaded file, and just added a date like 2013-4-4 to the end of each download's title. Now, all you have to do is to remember to back your blog up..both 1. the template and 2. the blog, itself..on a regular basis! Thanks Michele for documenting all this information for us. I do not see anything that says Design. 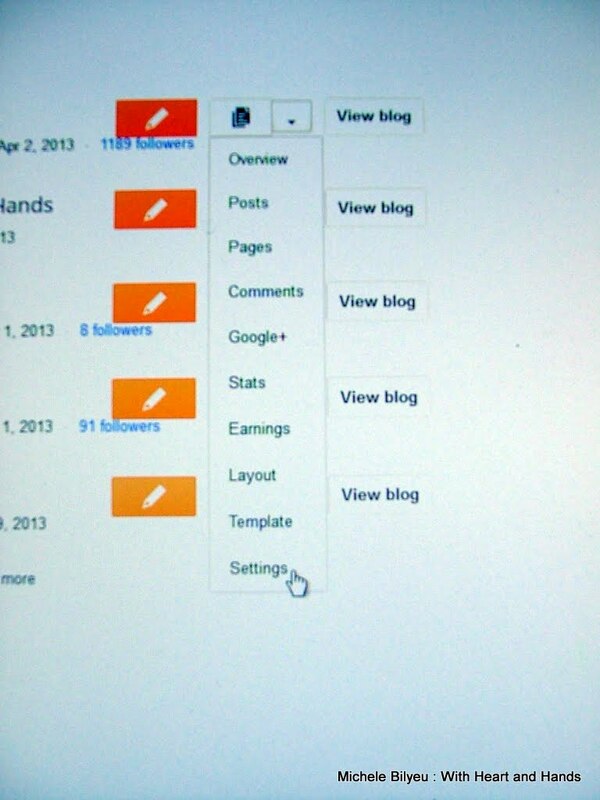 I used to see it on the old blogger, but since the new one, it's gone??!!!?!? I added a few more words in that section saying that we all choose different themes or styles of blogs..from Simple, to Ethereal, to Travel..etc. etc. And each designer uses different wording, buttons, placement of those ..so you have to keep reading and you will figure what yours does. 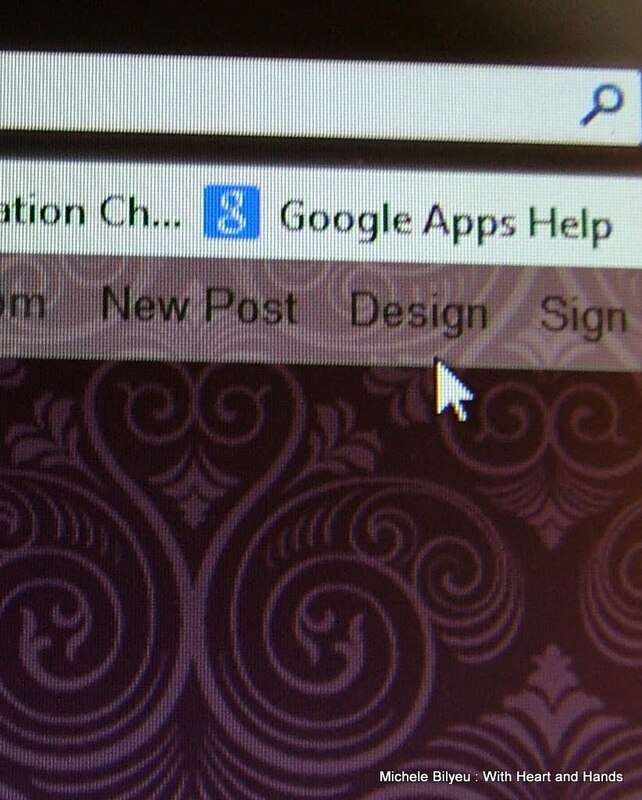 Keep looking on your dashboard page under settings. 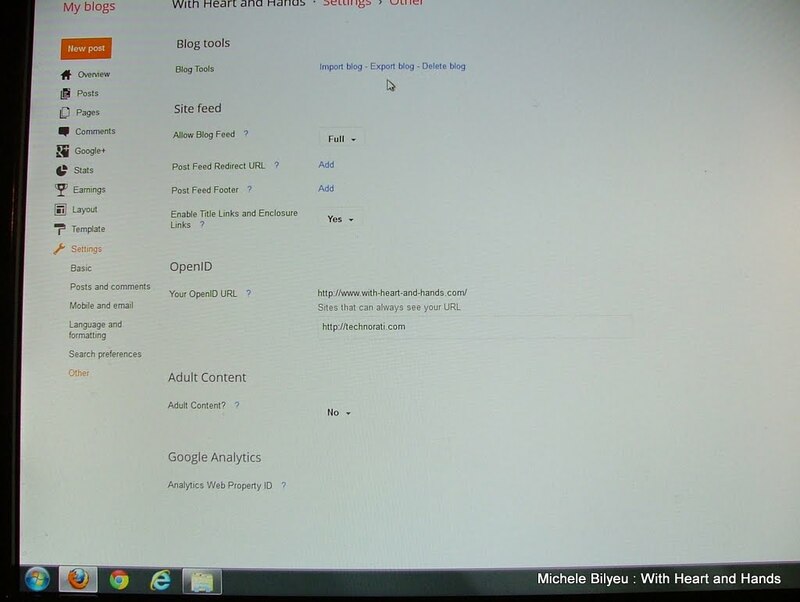 What a helpful tutorial, Michele; I've never thought about backing up my blog! I change the template of my blog on a whim so never save that either! Thanks so much for the "walk thru"! I think I came across this info some time ago on someone else's blog and "pinned" it, but never did it! But I just opened another "window" and followed your directions and it is DONE! Thanks again! Thanks I rushed right over to my blog and did this. I never considered doing it but it just makes sense accidents happen as we all know probably too well. 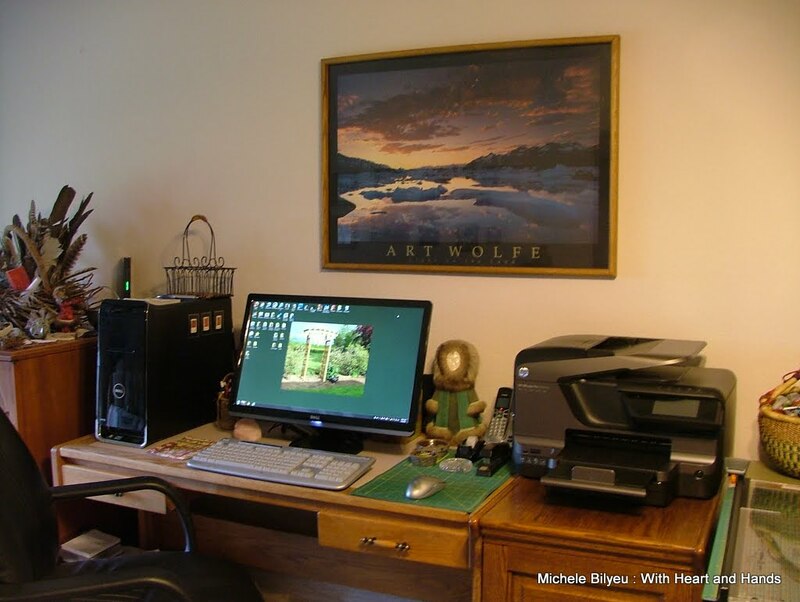 Michele, I am big on backing up and encouraging backup process, but so far, while I've found this backup step is easy to do, I haven't found it to be helpful. Have you ever used your backup file for recovery? 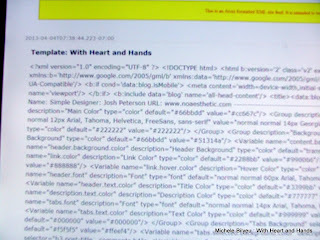 I played with a test blog to recover a file and did not have good luck. Still on my to do to spend more time investigating, but I'm not yet confident this backup accomplishes what we expect it too. If you've figured it out (e.g. the recovery step), please let me know. Thanks so much for this information Michele. I am a novice blogger so this is extremely helpful!